That's one O’Neill out of the equation but the other one will still be planning for a Russian tour next summer. Michael O’Neill can be as positive as he likes about Northern Ireland as they prepare to head for Switzerland with nothing to lose, but the fact is they looked a beaten side on Thursday night. The Swiss bossed the first leg of their playoff tie in Belfast and confirmed what a good side they are. Good enough to qualify for the last three World Cups, good enough to make the knockout stage at Euro 2016 where they didn’t lose any of their four matches, and good enough to take Portugal to the wire in qualifying having beaten them in Basel, the Swiss are more than decent. If Northern Ireland weren’t allowed out of their half at home, then I can’t see it being any different at St-Jakob Park no matter how positive the visitors feel they need to be. As for Ireland, I fancy them to qualify against Denmark. There has been money for the Danes but the pressure is on them after they have failed to qualify for either the last Euros and the World Cup before that. They havesome good players in their side. Andreas Christensen is making a mark at Chelsea, Christian Eriksen is at the heart of all their good work and I like young Leipzig forward Youssuf Poulsen, who is going to be a top player. And their 4-0 thrashing of Poland during qualifying does stick out on their results page. But this is about what Ireland do best and that’s frustrate teams, as they did to Wales in that big game in Cardiff or before that to Serbia in Belgrade and Austria in Vienna. They’ll never win top marks for style or ever be that pleasing on the eye, but they have become hugely difficult to play against under Martin O’Neill. They will get moments on the counter and they’ll have to take one or two, or rely on good delivery at a set-play. 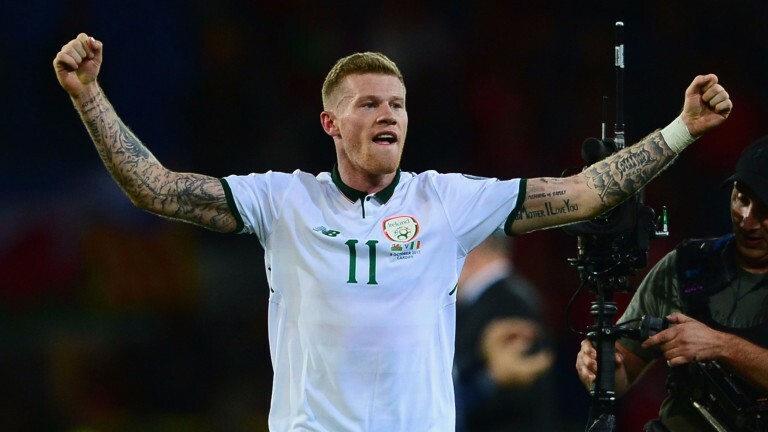 A player such as James McClean is key and his confidence must be sky-high. In a low-scoring tie over two legs, I’d be fairly confident they can come through. The Premier League title race is over if the prices are right but the battle to be the division’s top scorer looks an absolute belter. Harry Kane, Romelu Lukaku and Sergio Aguero were the big three in betting at the off and all three are inevitably in the mix. But so too are many others. Those who wrote off Aguero after he broke a rib last month look to have spoken a bit prematurely and we’re wondering just how minor Kane’s hamstring strain is. But there are just two goals separating ten players with other proven goal-getters such as Jamie Vardy, Alvaro Morata and Alexandre Lacazette right in the hunt. Unsurprisingly you’ve got four Manchester City men with at least six goals and the one who I think will carry on playing and scoring is Gabriel Jesus, and if you haven’t yet backed him for the Golden Boot he has got to be worth a dabble. He plays in a City side who aren't going to stop scoring and he takes his chances. His conversion rate is excellent and a striker with such an eye for goal, in a team who create so many scoring opportunities, is unlikely to stop finding the net.